Dr Calan Khong graduated from Monash University in 1997. He is passionate about using evidence-based nutrition, lifestyle changes, supplements and acupuncture in order to improve people’s energy and wellbeing. In 2013, he completed his Graduate Certificate in Acupuncture with Monash University. 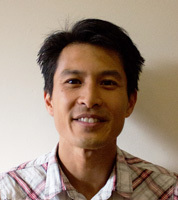 Dr Khong is currently undertaking a Chinese Medicine degree at the Southern School of Natural Medicine.